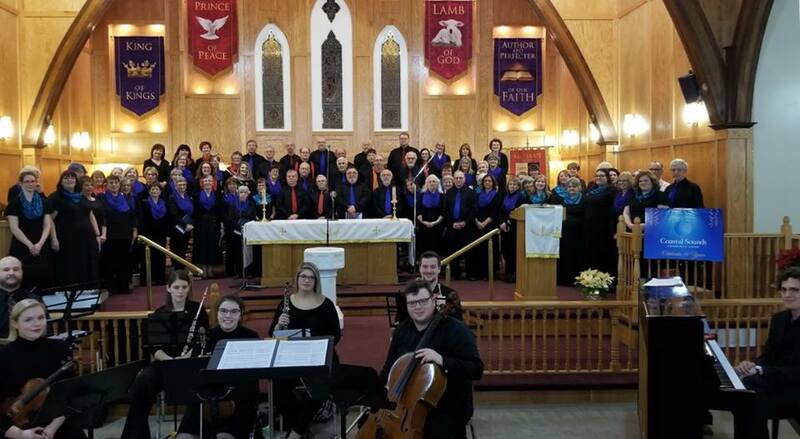 The Christmas Cantata Project has become an annual tradition for Conception Bay South and surrounding areas. 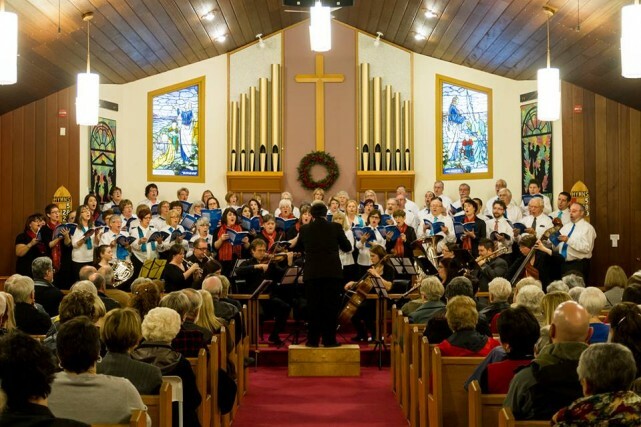 For the past five years, the CSCA’s Holiday Concert has featured their own choirs plus the performance of a half hour massed choir work celebrating the Christmas season. All interested singers from the community are invited to join in the massed choir. Since 2014 the program has involved an orchestra accompanying the choir, which has become one of the most favoured parts of the program for our audience and all involved. 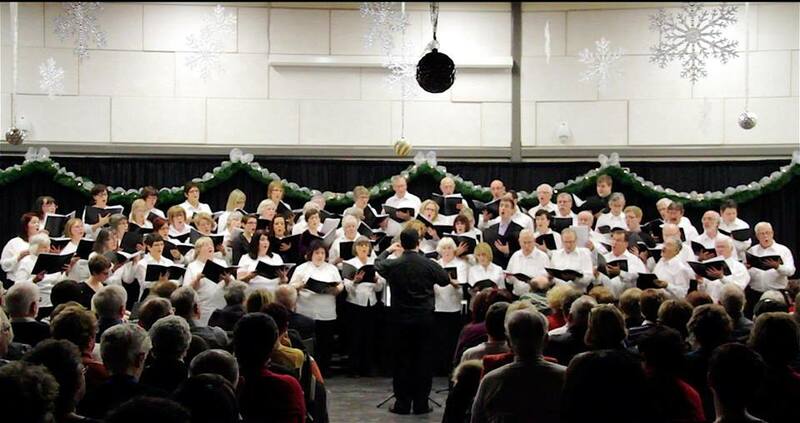 In 2013, the Coastal Sounds Community Choir invited members of the Topsail United Choir Adult Choirs and the Anchormen Chorus to participate in the first Christmas Cantata Project. The choirs were joined by Afterglow, a six member a cappella ensemble, and performed “When Love Was Born” John Rasley and Frank Cross, accompanied by piano. In 2014, the program was opened up to all interested members in the CBS and surrounding area who wished to participate. This was also our first Cantata with orchestra. 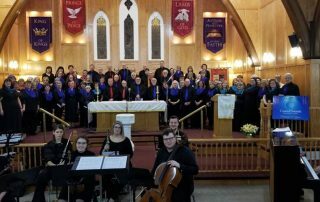 The concert was held at Topsail United Church and the work performed was “A New Birth, A New Beginning” by John Purifoy. Soloists were Deirdre Costello and Fraser McCurdy. 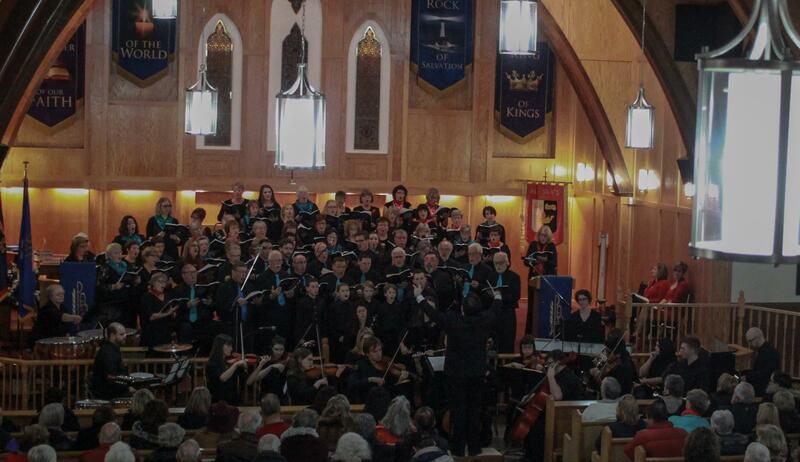 In 2015, the concert took place at All Saints Anglican Church in CBS and saw both the choir and the orchestra grow. The work performed was “Love Came Down At Christmas” by Joel Raney. Special guests were the Avalon Boys Choir, led by Stephen Candow. 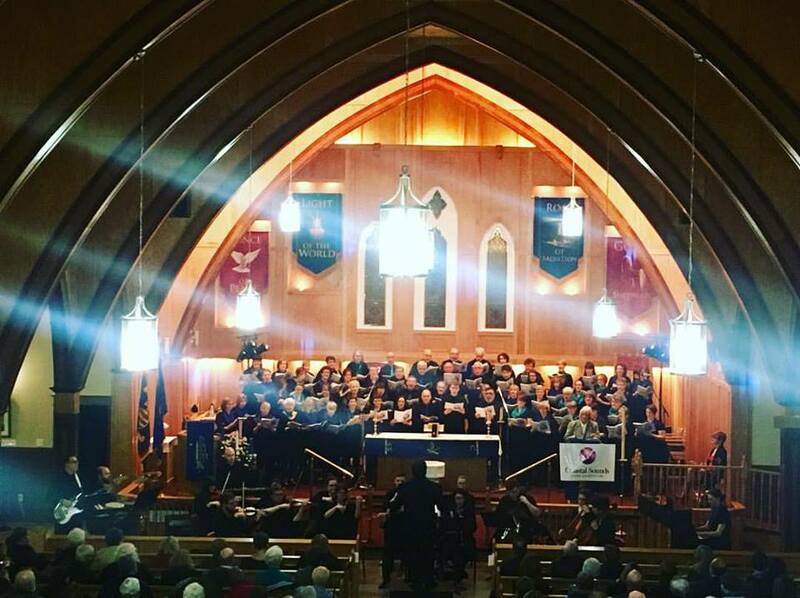 In 2016, the concert took place once again at All Saints Anglican Church with a record total of over 100 singers and musicians taking part. The work performed was “Let The Whole World Sing” by Joel Raney. Special guests were the St. Peter’s Anglican Junior Choir, Upper Gullies, led by Vicki Greenslade. Our 2017 concert took place once again at All Saints Anglican Church, except it wasn’t 2017! Despite the weather forcing us to postpone, our ‘Christmas in January’ concert was a great success. The cantata performed was “A Thrill of Hope” by Joel Raney.